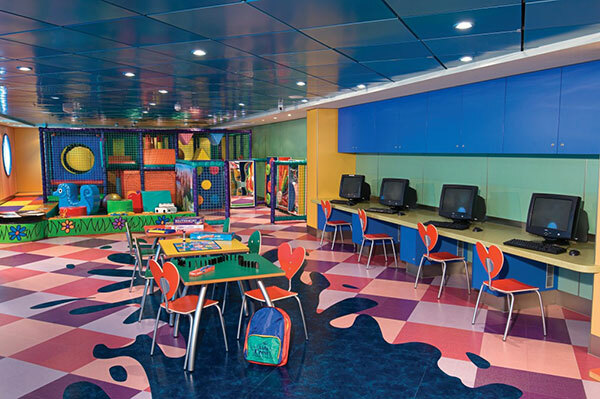 Norwegian Cruise Line: Something for the Whole Family! Welcome to Thomas Jefferson's Georgian residence. 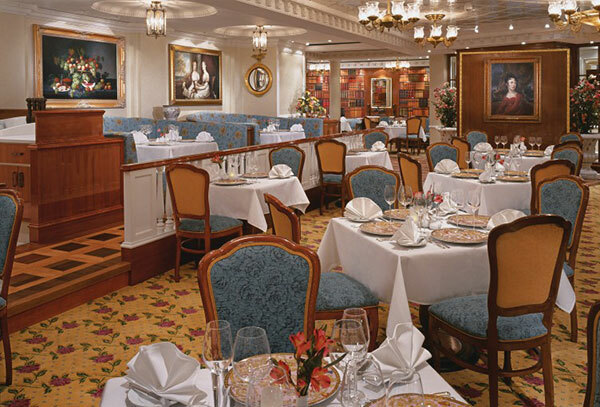 This upscale French restaurant offers modern and classic gourmet cuisine against a traditional Jeffersonian backdrop. 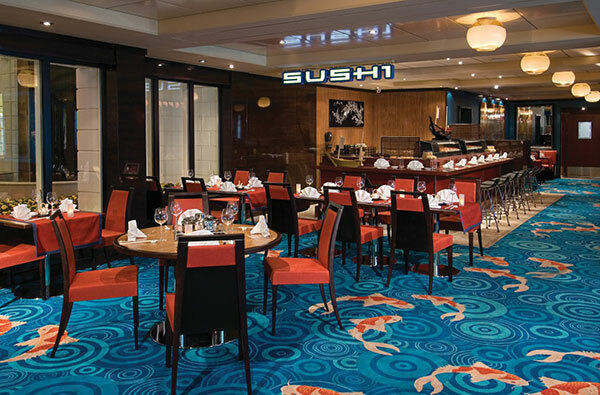 For a taste of the exotic, you'll find a unique array of Pan Asian cuisine as well as many authentic Asian dishes. East Meets West Asian Restaurant also has a Sushi and Sashimi Bar where you can enjoy the very best sushi and sashimi expertly prepared as you watch. 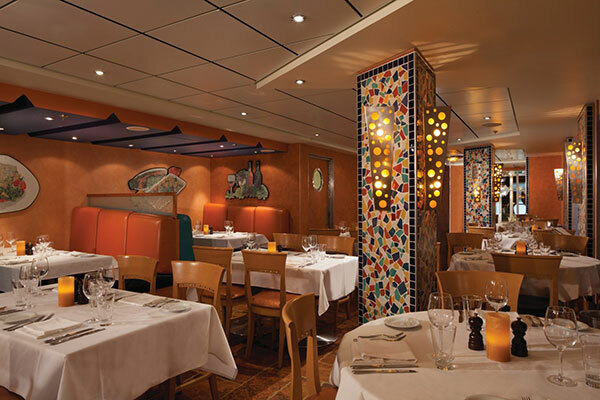 The menu is priced a la carte. Chicago's legendary comedy theatre, The Second City, celebrates its 50th Anniversary with a hilarious revue of sketches, songs and improvisation. Watch the brightest young comic talent in North America puts its comic spin on current events and life on the cruise ship. Tonight, you can’t help falling in love with Norwegian’s very first original Musical Comedy, Rock-a-Hula L?‘au! Think the fun of ‘Glee’ meeting the campy comedy of Frankie and Annette, all set to the re-imagined music of Elvis Presley! One for the Money, Two for the Show, Three to get ready…now Rock-a-Hula Go! Sidle up and wet your whistle at the Gold Rush Saloon, a full bar offering an extensive wine and beer selection and cocktails. Deck Games include Outdoor Chess. It's a great way to meet some of the other passengers. The Kumu Cultural Center takes guests through the history of Hawaii. 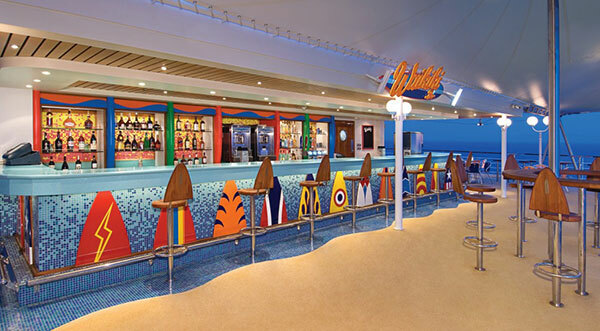 In addition our onboard Hawaiian Duo local entertainers and the Hawaiian Ambassadors onboard bring the Hawaii culture to light with art & crafts classes, and lectures for our guests. Need a new bathing suit? How about a surprise gift for your sweetheart? Newbury Street Shops offer a wide selection of brand name and specialty goodies. 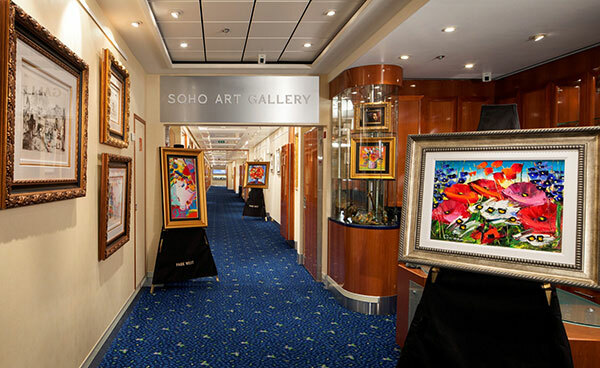 Stroll through Pride of America's Art Gallery of original paintings for sale by a wide range of well-known artists. njoy the amazing views together on your large, private balcony. Have your butler arrange a culinary feast in your dining area. Or relish a quiet moment after the kids retreat to their room. alk about luxury. Open your floor-to-ceiling glass doors to your private balcony to reveal stunning, panoramic views. Butler and concierge service assures you'll never lift a finger. So much room, you can have your butler serve dinner al fresco on your private balcony. And after a full day of seeing the sights, retreat to your whirlpool tub. A dream vacation come true. 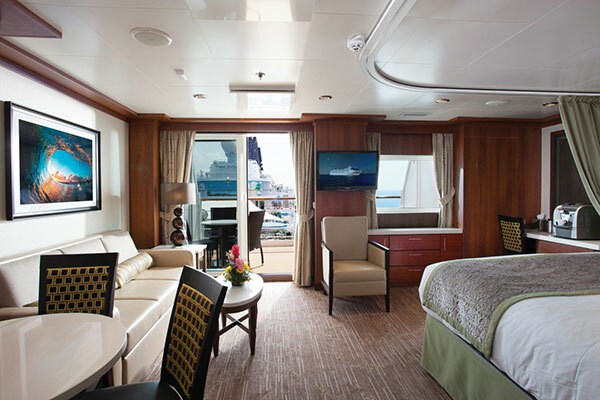 Relax as you lounge on your private balcony, all while taking in the spectacular seascape. And call on butler and concierge service any time you like. Enjoy the show. Just open your floor-to-ceiling glass doors and marvel at ocean views from your large private balcony. And let butler and concierge service take care of all your needs. So many ways to make your stay comfortable. 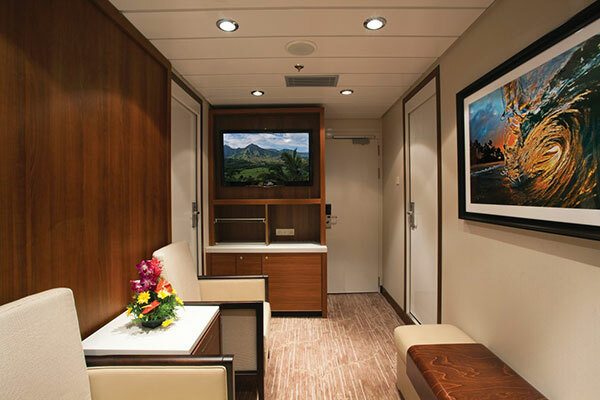 Retreat to your own private space or connect with a connecting balcony stateroom. And butler and concierge service assures your every need is met. 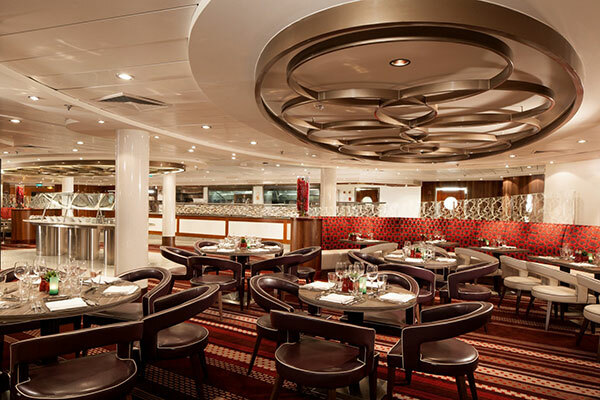 Centrally located to access all of the restaurants and action onboard the ship. Plenty of bedding to sleep the entire family! 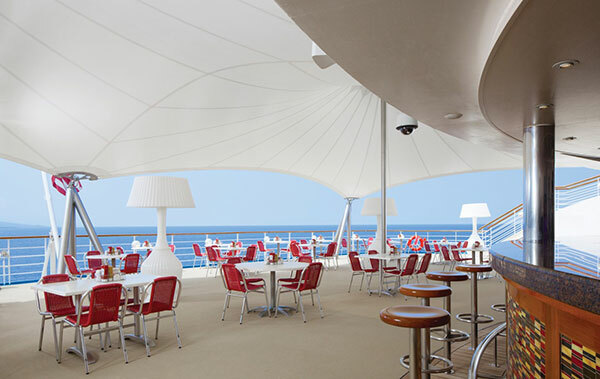 Facing aft gives you exclusive access to the most exhilarating — and unforgettable — views. Open your floor-to-ceiling glass doors and enjoy ocean breeze from your large private balcony. Share spectacular views with those you love, all from your private balcony. 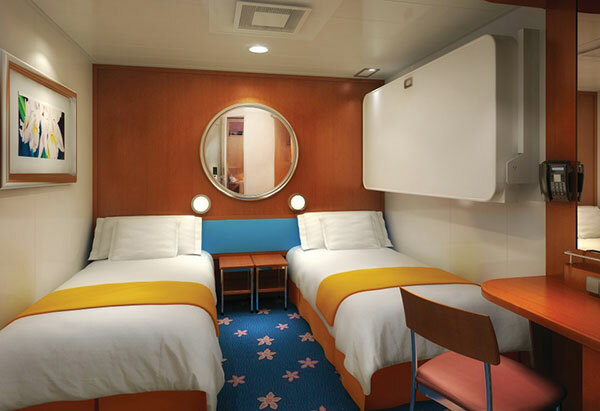 Some of these staterooms connect making it easy to spread out yet stay together. Floor-to-ceiling glass doors open to incredible ocean views, with plenty of room for taking in the seascape together. 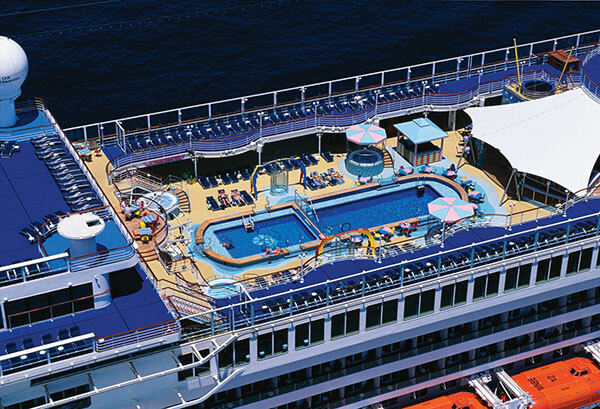 Stay mid-ship and stay closer to the excitement. When it’s time to retreat, open floor-to-ceiling glass doors onto your private balcony. Now that’s a vacation that runs on your speed. 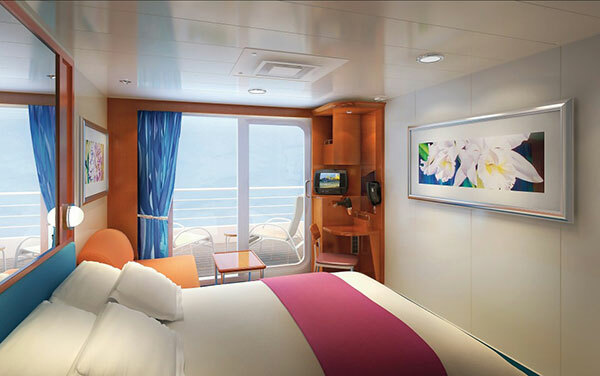 Wake up to a fabulous view of the latest port from your big picture window. Plus enjoy enough space for you and family to spread out. Awesome views are yours. With a picture window, you’ll be one of the first to see the latest port. 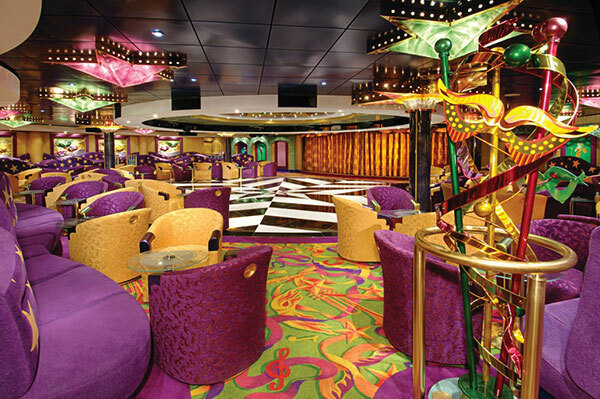 When you want some onboard fun, the nightclub, theater and shops are close by. Enjoy plenty of natural light throughout your room. 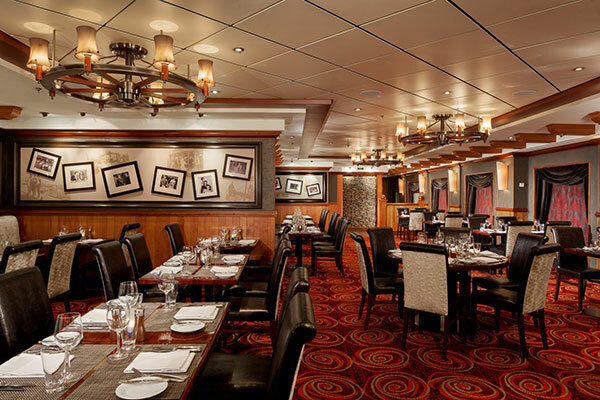 Plus you’re located mid-ship, which means you’re close to tons of great onboard amenities, including a variety of dining options. There’s room for everyone. 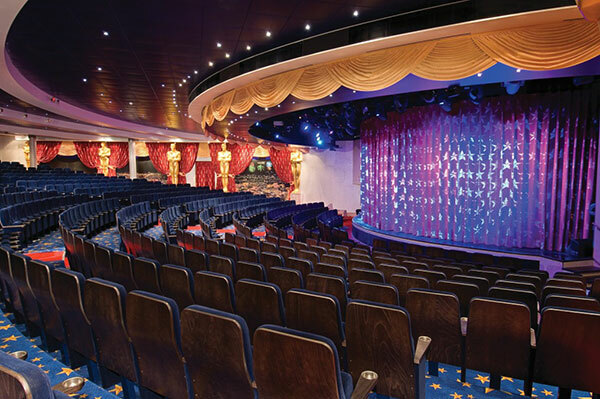 And you’re in a great spot, close to all the kids’ areas and activities — a real plus — as well as so many more onboard amenities, activities and attractions. 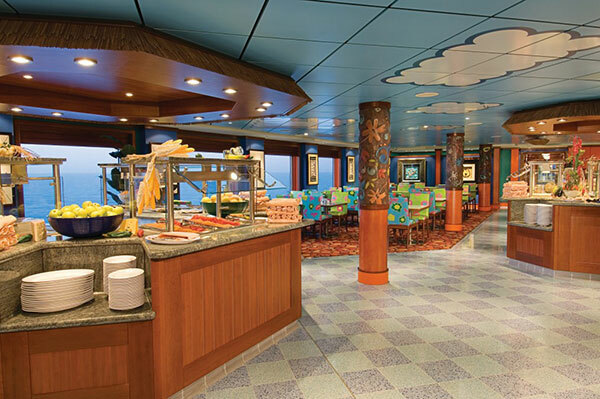 Staying mid-ship means you’re near all the exciting activities and delicious dining options. And at the end of your busy day, or night, up to four of you can sleep in complete comfort. 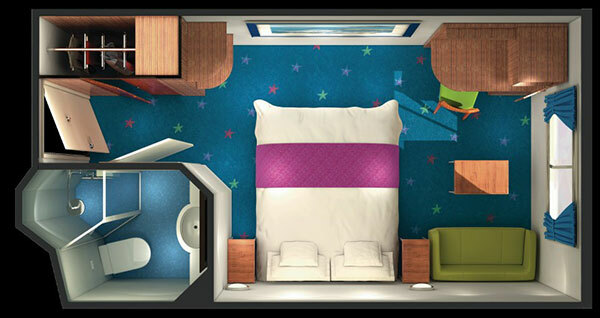 A great stateroom priced just right. Enjoy amenities similar to an Oceanview, just what you need to relax, recharge and get going again. 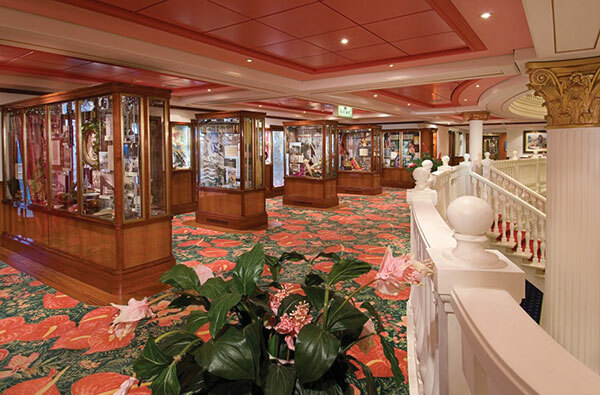 Many rooms are close by popular onboard attractions. 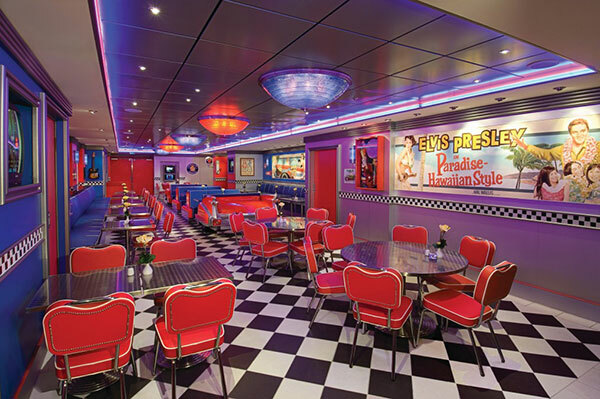 Cool and hip, right down to the funky lighting and flat-screen TV. Our studios have just what you need, plus access to the private Studio Lounge, a great place for a pre-dinner drink. INFO: Celebrate the honor, valor and courage of the World War II US servicemen on this special tour. 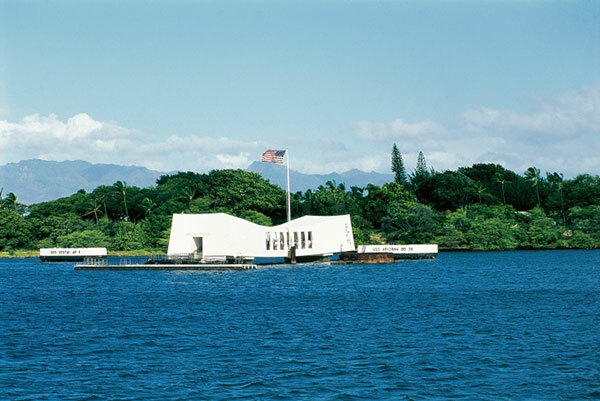 This nostalgic journey takes you to the two places that marked the beginning and the end of the war for the United States - Pearl Harbor and the USS Missouri. Enjoy a day of scenic splendor and natural beauty, from the lush surroundings of sparkling Rainbow Falls to the dramatic landscape of Volcanoes National Park, and an astonishing variety of tropical orchids. Visit the off-the-beaten-path town of Pahoa, discover Lava Tree State Park – a once lush rainforest – and walk on “frozen fire” in historic Kalapana. Join this thrilling helicopter ride for a bird’s eye view of Earth’s most geologically active environment – the Kilauea volcano. This flight-seeing adventure allows you to view current volcanic activity that can’t be seen from the ground. 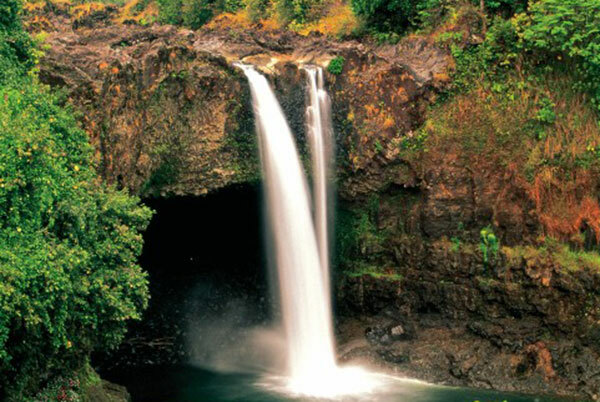 Experience the magnificent scenery along the famed Road to Hana and beyond. Travel over bridges and around hairpin turns while taking in the rugged coastline, lush hillsides and tumbling waterfalls of this pristine landscape. Hop aboard a catamaran for a day on the water. Snorkel at Molokini – one of the top ten snorkel sites in the world and Turtle Arches, where you may encounter Hawaiian green sea turtles. Check out Maui’s massive Haleakala volcano from bottom to top, as you journey from sea level to 10,000 feet. From the summit you’ll view spectacular island scenery and the immense crater of volcanic rock. Explore historic Kona, stop at St. Benedict's painted church, and step back in time at Puuhonua O Honaunau, once a political and religious sanctuary. Stop for a taste of local Kona coffee and maybe bring some home. Sample Kona Joe’s award winning trellised coffee, and melt-in-your-mouth chocolate from the Original Hawaiian Chocolate Factory. Visit the sites and learn about the growth and processing of these two fabulous beans. 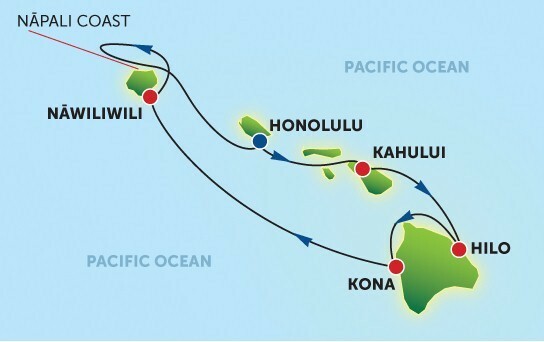 Explore Kona by land and sea. 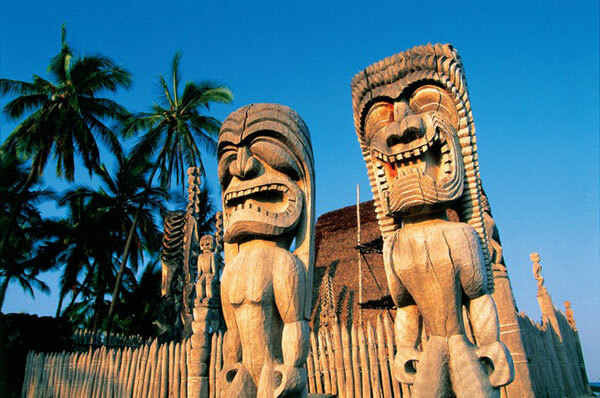 Sip Kona coffee, visit St. Benedict’s painted church and Puuhonua, a sacred place of refuge. View historic temples and battlefields from a catamaran, while keeping an eye out for dolphins. Kayak along the scenic Kona coastline, past great sea caves and giant lava tubes. Then snorkel in a protected cove amidst coral gardens and hundreds of exotic fish. Head to Kealakekua Bay in a 24-foot Zodiac on this fast-paced adventure tour. Swim and snorkel in the bay’s protected waters, then explore sea caves and lava tubes and learn more about the geology of the island. 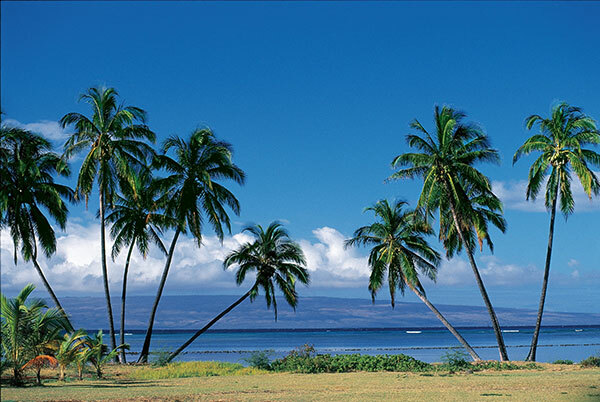 Come along and visit the fertile heart of Kohala and explore its rich natural and cultural heritage. Along with an abundance of waterfalls, the short mile and a half trail has three bridges, two idyllic streams and traditional Hawaiian taro terraces. By exclusive access, treat yourself to a swim under a private waterfall. Soar above the beauty and volcanic fury of the Big Island of Hawaii on this complete aerial tour of the island via helicopter. It's the best way to get a birds eye view of Kilauea Volcano's active areas, lush rainforest, the Hamakua coastline and the deep, immense tropical valleys of the Kohala Mountains with cascading waterfalls and lush greenery. 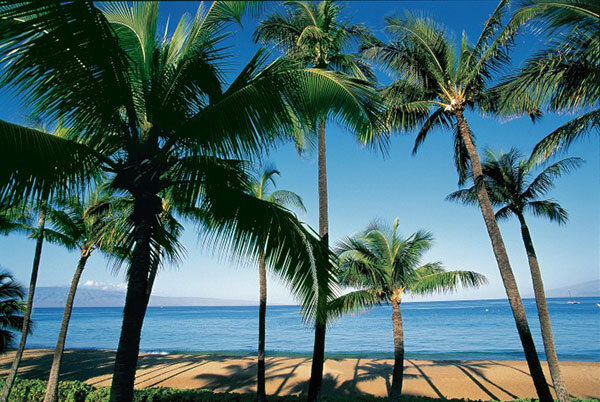 Enjoy Kona's underwater paradise without getting wet! Cruise aboard a 36 foot glass-bottom boat specially designed to cruise within inches of the reef. Have your camera ready to capture the colorful fish, corals and other sea creatures. Enjoy the safest and easiest way to learn how to dive underwater, your SNUBA guide is with you every step of the way. You'll discover a beautiful reef teeming with a variety of colorful, tropical fish, beautiful coral gardens and other marine life on this easy introduction to diving and to Hawaii's underwater world. Don’t miss this luau – it’s a Hawaiian cultural extravaganza. 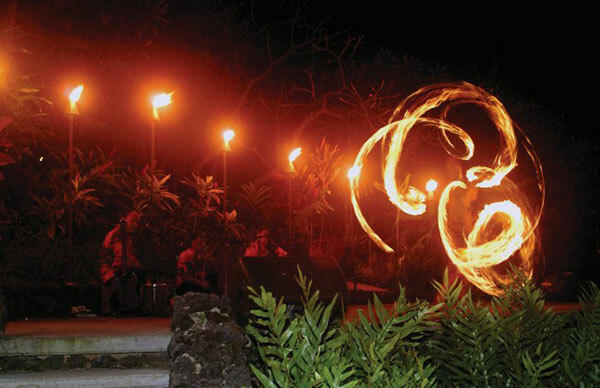 You’ll dine on a lavish buffet of local delicacies, feast your eyes on graceful hulas and traditional fire dances. 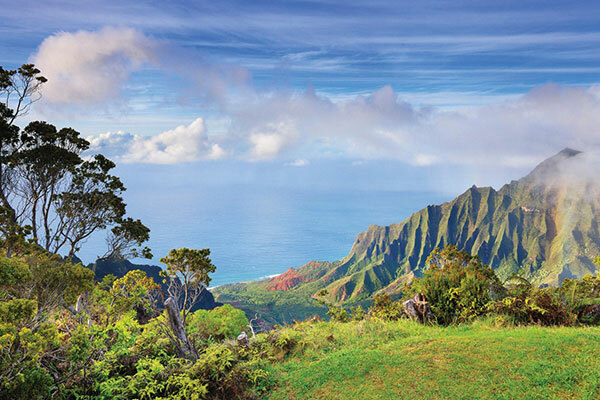 On this introduction to the “Garden Isle,” you’ll explore two of Kauai’s most dramatic natural attractions - the 3,000-foot-deep Waimea Canyon and the lush landscapes lining the Wailua River, including the famed Fern Grotto. Discover Waimea Canyon, the breathtaking gorge in the heart of Kauai that is one of the island’s most dramatic natural attractions.